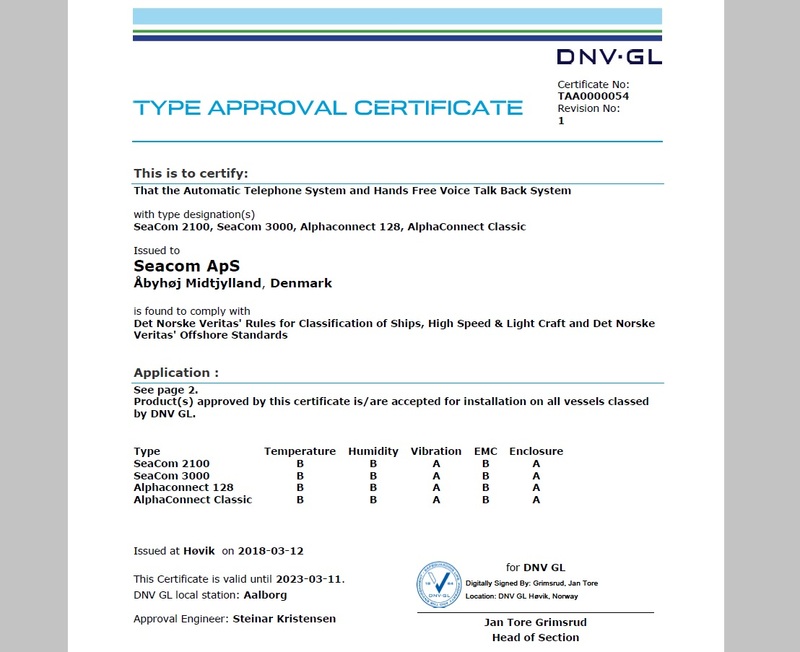 Our Type Approval certificate has just been renewed, now including the SeaCom 3000 and its accessories. We are proud to announce the renewal of our DNV-GL certificate. The type approval, originally obtained in 2010, is now updated to include the SeaCom 3000 and the new circuit boards AEXT16 and FIO4. The certificate is still including our range of telephones and intercom stations SC211, SC220, SC411 and SC421. View certificate as pdf: TAA0000054.